I met my husband in 1998. I was working as a maid, and he was employed at the police headquarters in Harare (Zimbabwe's capital city). We had met several times at a bus stop, on my way home to Epworth. After a while, he invited me to his home. Our relationship continued, and we saw each other many times after that. In 2004, he started feeling sick. Sometimes I would go with him to the doctor, but only when he went for tests - not when it was time to review the blood that was taken. He was finding ways to avoid going with me. Claud is 65 years old and married to Annette, 47. Claud and Annette met and fell in love after a chance meeting at a bus stop in 1998. In 2004, he fell sick. He went to the Doctor and had tests, later find out he was HIV positive. When Claud was first diagnosed he did not know anything about HIV, except that “I saw everyone around me was dying at the time. Many people were dying”. Scared and ashamed, he kept the news of his diagnosis from Annette. 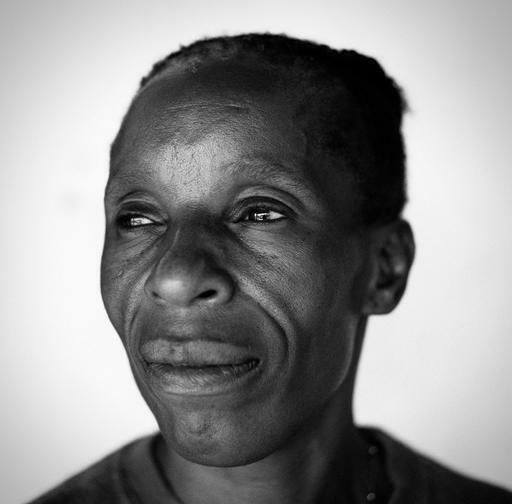 In 2007, Annette also fell sick and was then diagnosed with HIV. 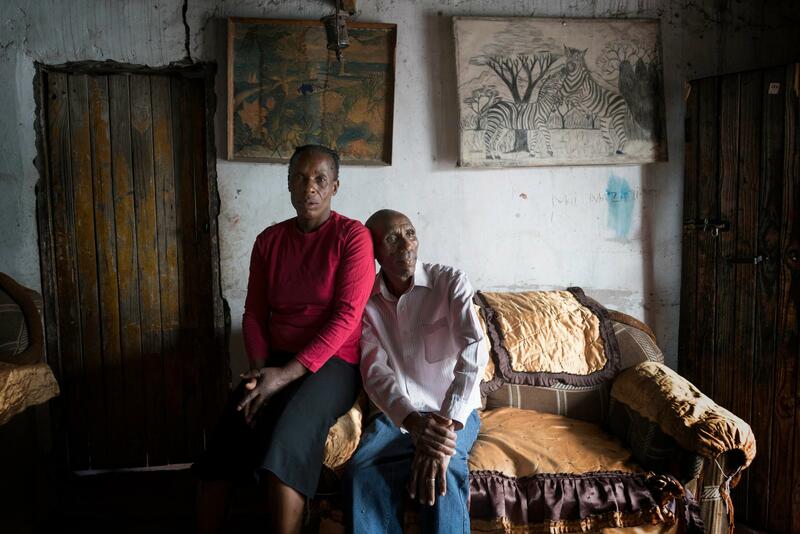 “We didn’t even discuss it, we only looked at each other, and we didn’t accuse the other of giving it (HIV) to each other, we didn’t say ‘you are the one who brought this disease here.’” Both Claud and Annette are now on HIV treatment and have joined an HIV support group in Epworth and their health has improved. Claud says of the friends who did not dare to get themselves tested: “they are already in the ground, I am still alive”. Finally, one day when we went to the doctor together, I asked about Claud’s condition. The doctor didn’t tell me anything, but instead showed me a file. He asked me if I was able to figure out what it said. When I read through the files, that’s when I saw the word ‘positive’ written there. It wasn’t until 2007, when I started to get sick, that I went and got tested at Epworth Clinic, as I’d heard it was free. I tested positive for HIV. I didn’t accept the status, and went to get tested at another centre, where it came back positive again. I came back to Epworth, my hands carrying the new treatment I had to take. I started flushing the medication down the toilet - I couldn’t bring myself to take it. One day, at my general appointment, a doctor asked where my medication was. I lied and said I was taking it. Energy 47, is married to 65 year old Claud. They live in Epworth. The couple met and fell in love in 1998 after a chance encounter at a bus stop. In 2004, he fell sick. He went to the Doctor and tested positive to HIV but kept the news from Annette. In 2007, she too fell sick and went and got tested for HIV, later finding out she was HIV positive. Enerty says that at first she had trouble accepting that she HIV positive, but they grew to accept the diagnosis and are now on treatment. She says many things have changed about the disease from when she was first diagnosed, including the fear around the disease. Enerty says she feels that with medication, both her and Claud now live full lives. “Before he started his treatment at Epworth and starting taking medication regularly, he was bedridden and did not know if it was night or day. When he started taking his treatment, he became strong again, and now, even today, he can do the work that he was doing before and not be helpless,” she says. She told me it wasn't helpful for the clinic to keep me on the programme, if I wasn't taking the drugs. I then realised that if they cut me from the programme, I would no longer be eligible for free treatment. I made my mind up that I have to take this medication. I was afraid of the side effects, and didn’t want to get Stevens-Johnson syndrome (a life-threatening skin condition) where you develop a bad rash. By then, Claud and I were on the same programme. I started taking my drugs, and understood that I should take them for life. MSF did a good thing for us, and I urge them not to leave Epworth.